Just a hypothetical question. 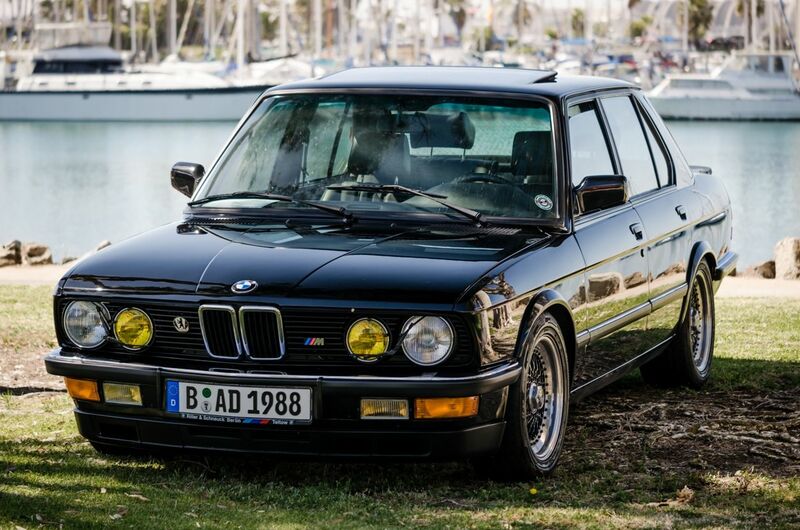 How absolutely bad would a BMW E28 M5 have to be to pass up a chance to buy one in the $8k range? blown engine and /or rust. For me, rust is the deal breaker on a car. Once it starts, it seems to be in lots of places, many of which are not easily spotted and it never sleeps. Rust . . . start cutting out and welding in new metal, and respraying, easily five figures. Engine . . . I think that's a pretty exotic engine, can't be cheap to rebuild. It would probably be a lot cheaper to buy a nice one. Unless a car is mega-valuable, (like certain early 911s and 356s), the math never works out for a restoration. This is coming from someone who has done a bit of restoring and will do some more. You have to choose your projects very carefully or you can wind up dead w a half-finished car in your barn. Lol, yes it is. However small chance the engine is salvageable. Put some $$ aside for electrics and rust, if still within the budget ...do it! You'll love it. (As for) Michael Moore:Calling that lying liberal POS propaganda a documentary is like calling PARF the library of congress. Yes! I actually had an ‘87 635csi and I still have an 88 535is along with an e28 parts car. To be honest, I prefer the e28 as far as drivability is concerned. With e28 M5 values rapidly approaching e30 M3 money I can’t really see how I can go wrong here. I guess the ‘74 911 project is going to be on the back burner for a while longer. Rust or not if you can make it run it would be a fun daily driver. I have a 1987 535i for a toy but a m5 would be more fun. Cluttered garages are overrated, sent you a PM. e28s in general and M5s in particular have seen a pretty dramatic upswing in value over the last couple of years. This 535i sold on BaT a few weeks ago for $50,000.00. I bought my M5 10 years ago when prices were still 'reasonable' and I wouldn't take less than $50k today. Last edited by SoCal911T; 12-23-2017 at 03:23 PM..
That 535i that was on B-a-T is amazing, the underbody is clean enough to serve Christmas dinner! That's an absolutely bananas price for that 535i. I don't care how clean it is.